The UltraGrip 8 tyre benefits from shorter braking distances in both wet and dry conditions thanks to Goodyear's 3D-BIS Technology. This interlocking block system helps deliver braking distances on snow that are one meter shorter than the average performance of competitors' winter tyres. Enjoy confident grip in all cold-weather conditions. 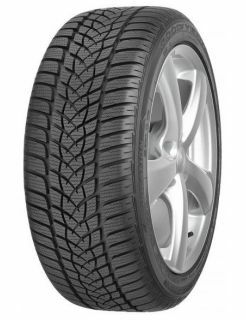 The winter tread compound maintains high grip levels at temperatures below 7 Â°C. Goodyear's 3D BIS Technology improves handling in unpredictable winter weather from wet and dry roads, to ice, snow and slush.